routing microwave IF’s to multiple receivers (eg conventional and SDR). 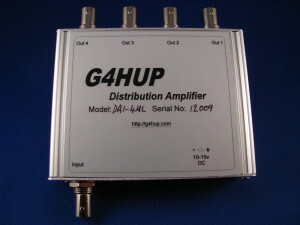 DA1-8 versions are not suitable for distributing frequencies beyond the HF range (up to 30MHz) without further gain. This can be included on the PCB by the user. These products include no signal isolation – if required this must be provided externally. 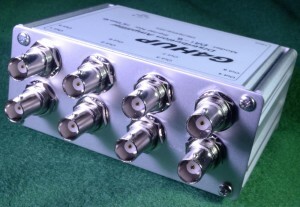 On board filtering options are provided and the DA1-4HL and DA1-8HL both include a 10MHz LPF as as standard.